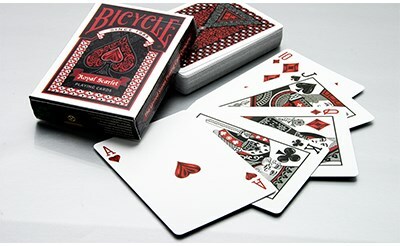 Another Bicycle quality deck, which means embossed air cushion finish, good quality and smooth handling. 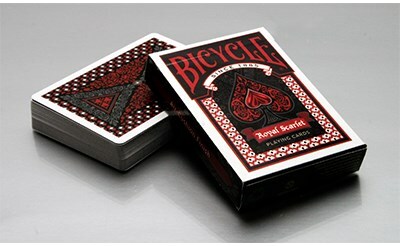 It's somewhat standard, and yet enough customization to make it stand out. 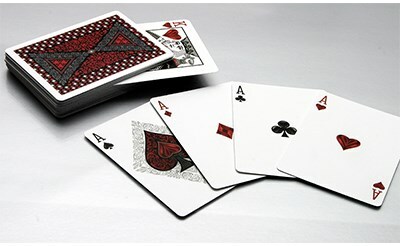 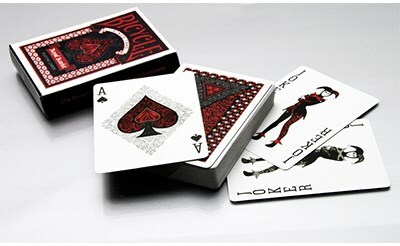 Red and black are the dominant colours on the faces, and the card backs have a strong X shaped design. 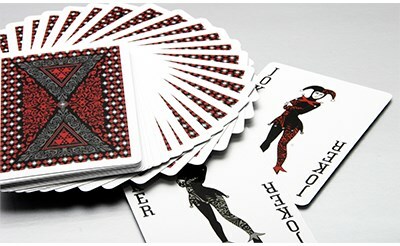 This one is good for playing card games, and offers some nice touches to make it seem elegant, while not being too weird or unusual.